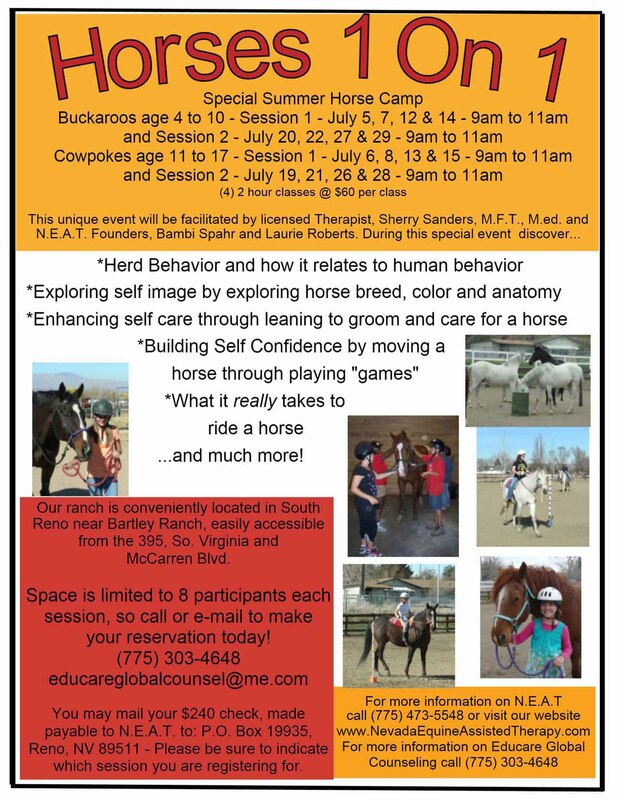 We still have space in our Horses 1 On 1 Summer Camp and Our Unbridled Language Workshop! We have several great events starting in July. Our Horses 1 On 1 Summer Camp is a great opportunity to introduce children as young as 4 and even teens up to 17, to the magic of horses. There are 2 age groups: Our Buckaroos are 4 – 10 and the Cowpokes are 11 – 17. We will offer 2 sessions (4 classes each session) for each age group. Make the summer break count for something! 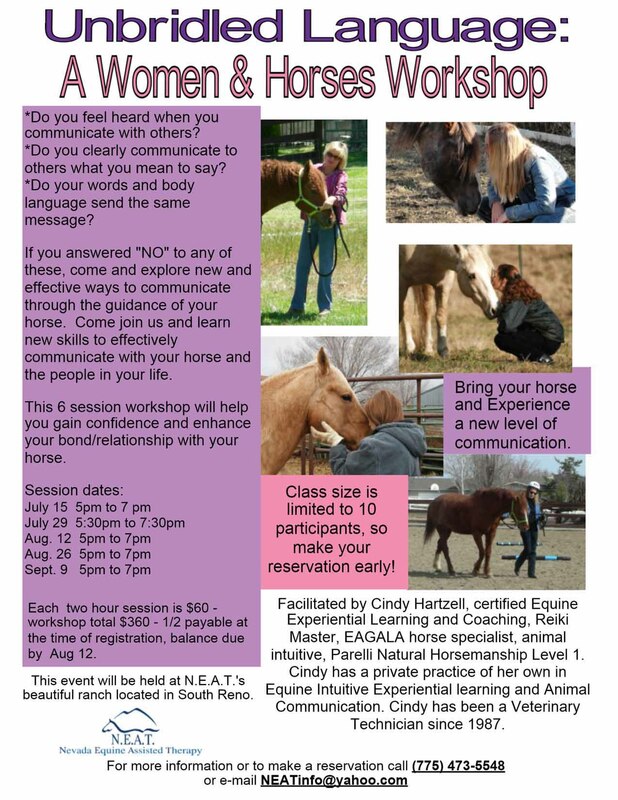 Then starting Friday, July 15, we will begin our “Unbridled Language – A Women & Horses Workshop” with Cindy Harzell. 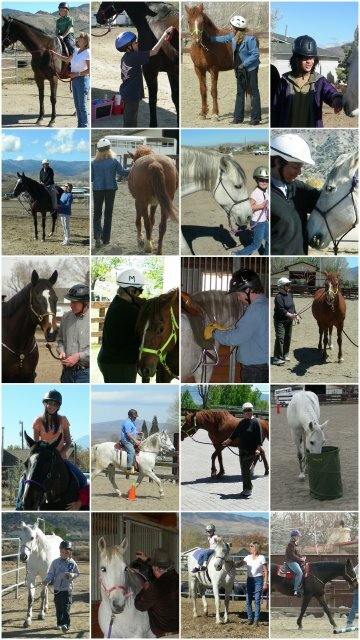 This 6 part series will help you gain confidence and enhance your bond/relationship with your horse, among other things! you will love our beautiful ranch, conveniently located in So. Reno. Space is very limited, but we do have a few slots left, so call and make your reservation today. We can take charge/debit cards and you only need to pay half at the time of registration with the balance due in August.